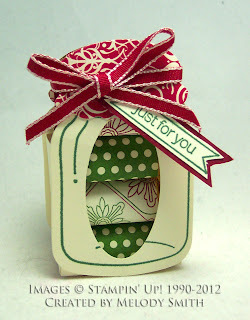 Here are more treats from our Stampin' Up! demonstrator Christmas party. This canning jar filled with chocolate comes from the Holiday catalog. Melody used the Perfectly Preserved stamp set (126692 $20.95) and Cannery Set Framelits (127822 $24.95) to make this box. Save 15% when you buy the Perfectly Preserved Bundle (129944) with the stamp set and coordinating framelits for $38.95. Wouldn't this be a fun Valentine's Day treat if you changed the paper and colors a little? 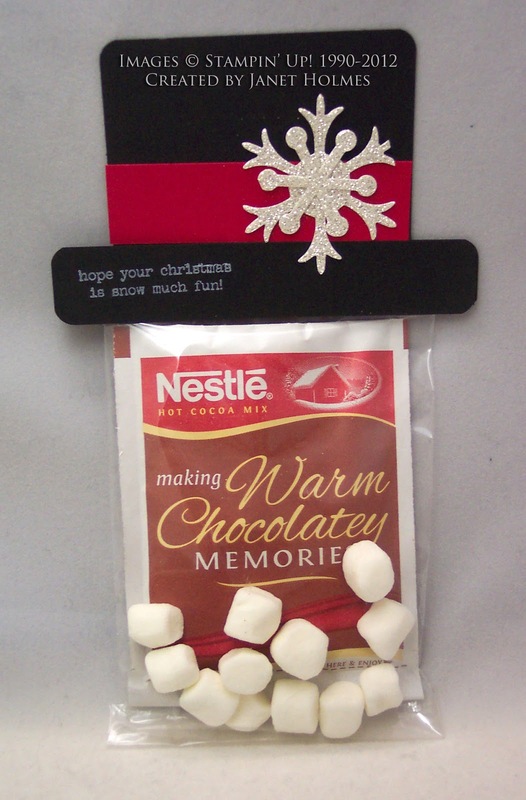 Janet shared this hot chocolate treat that looks like a snowman. 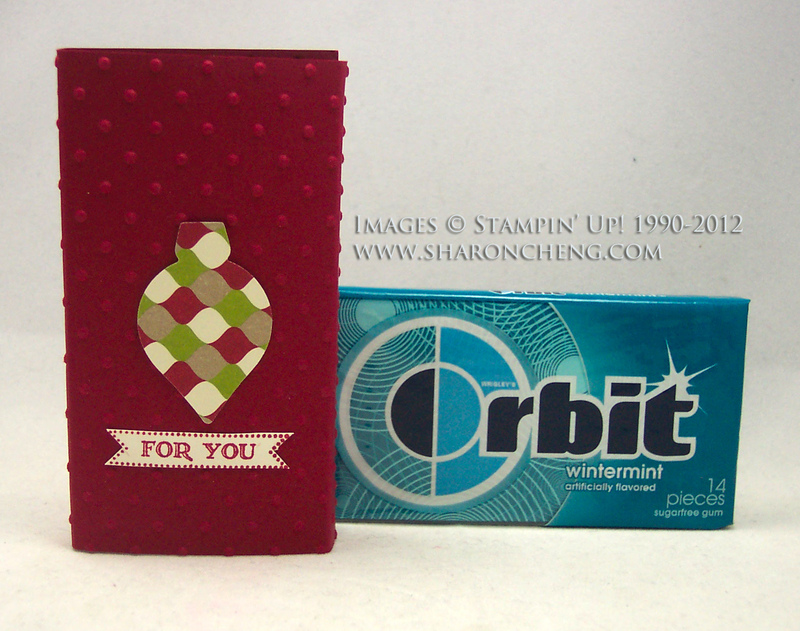 It uses the Snow Flurry Bigz Die (127813 $21.95) and silver glimmer paper (124005 $4.95). There are so many great projects that use this die. Check out the reindeer and Christmas card. Kim made this Christmas gum wrapper that uses the Ornament Keepsakes Framelits (127816 $24.95), the Itty Bitty Banners stamp set (126257 $11.95) and the Bitty Banners Framelits (129267 $14.95). This treat could also be changed to one for Valentine's Day using some of our heart-shaped punches or dies. If you are looking for other ways to package your treats, here are some other posts with different ideas. When I went to meet my friend at Starbucks, the parking lot was filled with shoppers so it took longer than expected to get out of the lot. Another one of advantages of making these Christmas treats is that you get to avoid the Christmas crowds! Have fun making your Christmas treats.